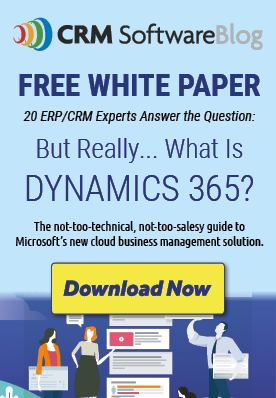 Microsoft Dynamics 365 & Dynamics CRM experts provide reviews and opinions to aid professionals with the Dynamics 365 selection process. What is Hybrid Cloud and How Can it Work for Your Business? You’ve invested a lot into the systems you use for your business. Each asset has been carefully selected to protect critical data, provide infrastructure, and support open technologies for remote work, all while keeping your overall business goals-- and budget-- in mind. When shopping for new ways to support these systems, many organizations have turned to a hybrid cloud approach to offer the flexibility and efficiency of new cloud technology while retaining the infrastructure they’ve already invested in. It’s the best way to optimize your existing assets while taking advantage of today’s newest technologies. The best part about considering this hybrid cloud approach is that migrating isn’t as overwhelming as you think. If you have a strategic roadmap, a clear understanding of your priorities, and a systems integrator that understands how to apply the cloud to your business, you’ll be well on your way to modernizing your IT operations and achieving cost efficiencies. Your migration to the hybrid cloud is impacted not only by the size and complexity of your applications, hardware, and operating systems, but also by your users, processes, and governance. Having one hybrid cloud vendor means your organization will have identity management, security, and data models for developers all in one spot. By using uniform technologies across these touch points, you free your developers and IT professionals from unnecessary constraints caused by disconnected systems. 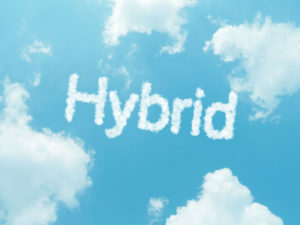 The bottom line: when selecting a hybrid cloud system, your priorities must include providing consistency across identity, management and security, data platform, and development and DevOps. As your employees log into your systems with more and more devices, security fatigue becomes an issue. With so many logins and passwords comes inefficiencies with your employees and security threats to your organization. Having users use single sign-on across devices and operating systems, whether they’re on-premises or in the cloud, guarantees they’ll have a consistent, secure, and rich experience. It also benefits administrators, who can manage security and governance so users can access what they need as they need it. A hybrid cloud environment allows data from internal and external sources to come together. Users can work with both operational and analytical data to provide the same services for data warehousing, analysis, and visualization, whether on-premises or in the cloud. This allows your organization to leverage analytical and operational tools, create and scale resources, and handle high availability, all while optimizing for costs. 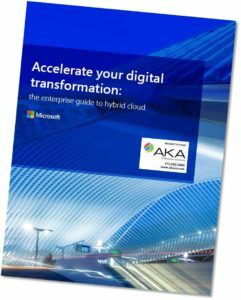 Click the image to download this Microsoft Whitepaper, "Accelerate your digital transformation: the enterprise guide to hybrid cloud", to learn more about the benefits of a hybrid cloud solution. Built-in management and security features allow you to monitor, configure, and protect your hybrid cloud environment. Your team will have complete visibility and control across assets, no matter if they’re on-premises, on a hosting provider, or in the cloud by providing administrators with monitoring capabilities, protection and recovery processes, automation and control facilities, and security and compliance abilities. It’s an end-to-end approach that will give you peace of mind with the hybrid environment. Consistency is paramount for DevOps teams, and having a common approach to building applications offers an array of benefits for your developers and organization as a whole. Applications built in the public cloud may not be built in the same language(s) that are on-premises, leading to additional developers translating those applications into different languages. With hybrid cloud, developers are able to build and deploy modern applications in your on-premises and cloud environments in a familiar way. Your on-premises projects will never be limited by older technologies again. An important step in optimizing your existing systems and modernizing them is selecting the hybrid cloud solution that works best for you. Contact AKA Enterprise Solutions to discuss their Ground to Cloud Essentials services and learn more about how they can make a hybrid cloud environment customized specifically for your business today! Want to learn more? Download this Microsoft Whitepaper, Accelerate your digital transformation: the enterprise guide to hybrid cloud. AKA specializes in making it easier to do business, simplifying processes and reducing risks. With agility, expertise, and original industry solutions, we embrace projects other technology firms avoid—regardless of their complexity. As a true strategic partner, we help organizations slay the dragons that are keeping them from innovating their way to greatness. Call us at 212-502-3900! Is Your CRM Implementation Doomed to Fail?